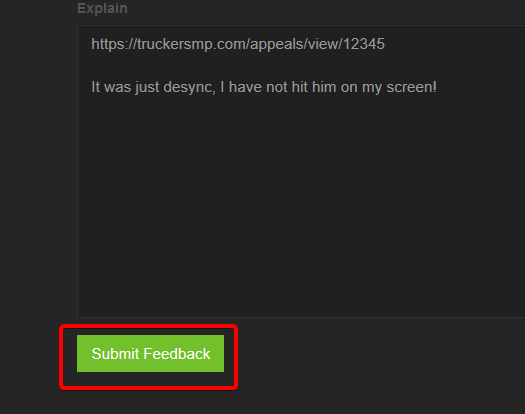 If your ban has been dealt with improperly, head over to the feedback page. However, to do so, you must have created a ban appeal beforehand! Check this guide to see how it works. Before submitting a ticket, make sure that your ban appeal is closed (Declined, Modified, Accepted). 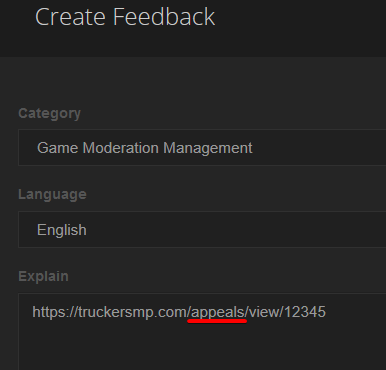 Secondly, provide us with proper video evidence explaining why your ban is incorrect. If you do not have any video showing your own point of view during the incident you were banned for, the likelihood of being unbanned is significantly lower. We do not offer all languages, you can only select those which are currently supported. Depending on the language you chose, it can either take longer for your ticket to be reviewed or we might reply in English if there is no translation available.